Our FrozenJack® ice machines guarantee best product quality, easy handling, innovative technology in attractive designs. 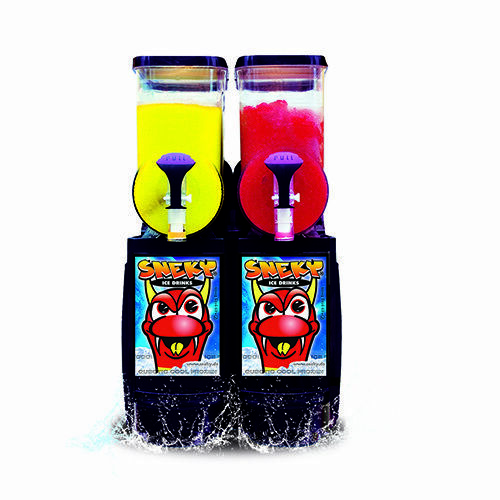 All FrozenJack® Ice machines own an authentic and low maintenance cooling system. 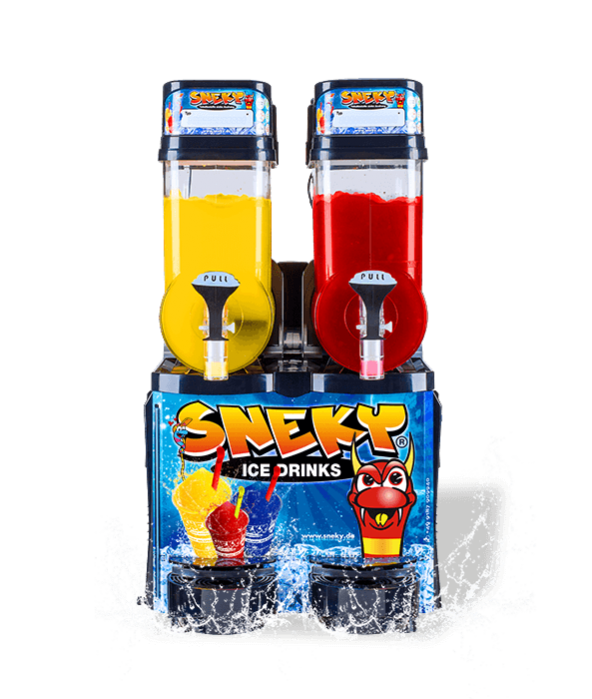 They can be not only used for Slush Ice drinks, Frozen Yoghurt or Frozen Cocktails, but also for different cooling drinks. Top-quality final products are produced in food safe cooling tanks and by robuste mixers. Robust machines with 1 to 3 chambers and a capacity of 6-12 liter per container. 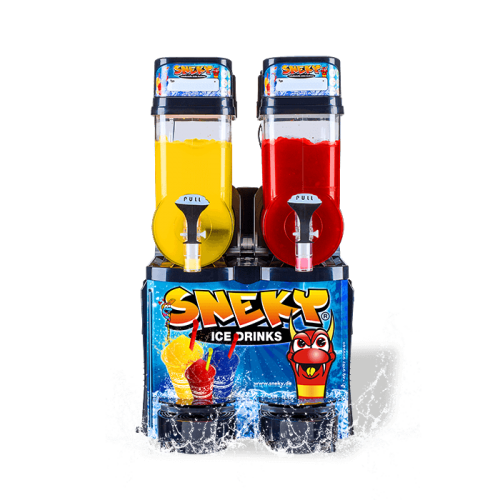 Selectively useable as Frozen Slush Ice machine or as cooling dispenser. Container consists of polycarbonate that saves the frost longer. Impact- and break-proof A.B.S. plastics and/ or covered stainless steal. For a very easy cleaning, it is possible to remove everything without tools immediately. Equipment is constructed modular, for the quickest exchange of spare parts and easiest service. Each container is separately controllable (no accident-sensitive electronics). Far lower consumption of energy as with comparable machines, with the new Q.F.Fast Freezer technology. Exclusive and attractive SNEKY® design in plastics or stainless steel with ceiling lighting. Optional with Starter Package, Refill-System, cup dispenser or floor cupboard available. To 36 months full guarantee & service from one hand! All spare parts are permanently available! borrowing, renting, leasing and purchasing concepts.